You can win $1400 in backpacking gear by entering this giveaway by Friday. The sponsors include a dozen brands like Sawyer, Black Diamond, and Patagonia that I'm sure you know well. Enter at this page and you just need to use an email and first name - no other info. Prizes include sleeping bag, pad, backpack, hiking poles, headlamp, food, water treatment, and clothing - pretty much everything needed to be the envy of everyone on the trail, or at Philmont next summer! Good Luck, and Scout On! PS: You might as well enter MY monthly give-away before Friday, too. 3 winners every month. Jen is a friend of mine here in Minnesota. She is a super role model for scouts, and women interested in expanding their outdoor adventures. 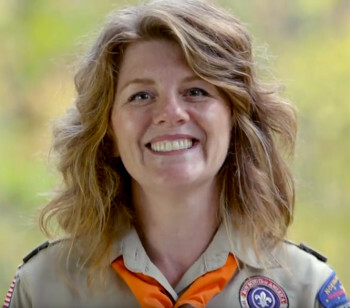 It is no wonder the BSA has done a Scout Me In video featuring her fun and positive persona! I have had the privilege of hiking with Jen and her scouts, and I enjoy following her personal and scouting adventures through her social media: blog, instagram, and facebook. Her evolution from newbie backpacker to lightweight trekker is an interesting read on her blog. 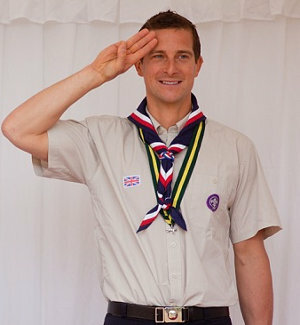 Scout On, and Scout Me In!